Our Moon sign is an indicator of what we need – what we need to feel nurtured or secure. It’s what comforts us, it’s our emotional nature within the safe folds of family and trusted friends, it’s the personality that comes out when we’re relaxed at home. People born when the Moon was in Cancer are imaginative, sensitive and incredibly nurturing. They have an innate need to support and protect, and in return, they need to feel safe and secure around their loved ones. Those with this moon sign have a strong connection with family, and can be very attached to home and the idea of togetherness in clans. They seek to recreate a community atmospheres or are drawn to them, and their home could facilitate groups gatherings – just look at Moon in Cancer women Kris Kardahsian and Sharon Osbourne, who welcome the whole world into their homes through television. We join in the ‘household’ names, the family institutions they’ve created. Read more in Cancer – Mother Superior. Moon in Cancer people are perceptive of the moods of others, their empathy levels are strong and they seem to just know what others need. This goes for greater trends too, as they’re plugged into the unconscious of society. 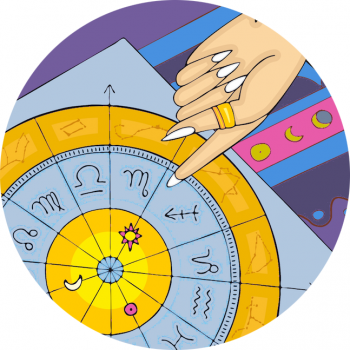 Trust a Moon in Cancer to know the upcoming trends, intuitively! And if you need a hug, count on Moon in Cancer for a big cuddle. A Home For The Moon In Cancer Person!! For people with Moon in Cancer, home is where the hearth is, in other words, where the cooking and feeding goes on! The kitchen will be well equipped for every eventuality, especially for the preparation of ‘comfort food’! These people love seeing to it that others are well fed and watered – just take Moon in Cancer model Chrissy Teigen who’s right at home in the kitchen. Cuddle With Cancer in the Kitchen! Taylor Swift was born when the nurturing moon was in Cancer, and because we know her time of birth we can see that the moon sits in her house of friendship – Sagittarius Swift loves surrounding herself with friends in the kitchen! Moon in Cancer people need a place of their own to feel whole, and to retreat and recharge. It’s usually a very cozy place, organised to be as relaxing and comfortable as possible. They may have lots of trinkets, memories from all parts of their history and must be careful not to become hoarders! Colours of the silvery moon are the best for this placement, reflecting your emotionally attuned nature – whites, greys and creamy tones. But you also wear beautiful blues, showing your watery empathetic, sensitive soul.